Founded by master cartridge maker Mr. Yoshio Matsudaira in 2004, the goal was to pursue and develop the ultimate dream range of cartridges. Mr. Matsudaira has been a highly sought after designer of high performance cartridges, with a client list that has included respected brands such as Koetsu, Air Tight, Miyabi, Luxman, Supex and Audio Craft. His unique SH-μX high flux / high permeability core material is one of the few genuine breakthroughs in cartridge design in the last fifty years. Only with the development of SH-μX was it possible to achieve a previously unseen level of performance with the lowest internal impedance (i.e. the least number of coil windings)and the highest output. If Mercury Records had designed a cartridge that captured the Living Presence sound, it would have been the My Sonic Labs. From the moment the needle hits the groove, things sound “alive!” Not only does this playback device have more zap and dynamics, it also has a more liquid sound, and is so genuinely seductive you might well buy it on first listen. And it will let you hear some things you haven’t heard before. For instance, if you have the original cover of The Weavers at Carnegie Hall you’ll see Ronnie Gilbert and Pete Seeger situated at the centre stage mike. Hadn’t paid any attention to the photo until I heard the Eminent, which makes it clear (somehow) that both are sharing that mike, an effect I hadn’t heard on any other unit in this test. Back to Chicago for a sec—not only is the timbral definition of the orchestral choirs rendered with greater harmonic complexity, but also that symphonic bass drum cuts through the fortes, a wowser (!) of a sound. Listen on a bit and you’ll begin to notice things, such as the woodwinds sounding more forward here than elsewhere (an accent mike? ), but then you’ll note there is less front-to-back depth than there should be, even on Chicago’s concavely shaped stage. And the solo sax sounds further downstage (toward the audience) than it should. And in Carnegie, we hear the dynamic shadings of Ronnie’s voice and get a rather exact idea of her un-sylph-like chest size—a big voice capable of the big moments, but a perfect, so perfect and gradated, one, capable of great delicacy. It is the kind of delicacy that can be heard when she is singing backup in the “big” moments, it doesn’t get lost in a larger ensemble. I had hoped to make an earlier version of the My Sonic Labs a reference standard, so struck was I by its immediacy, presence, and the kind of ineffable “thereness” that music has. The Eminent EX sounds less like the unit I had on a very short-term loan. 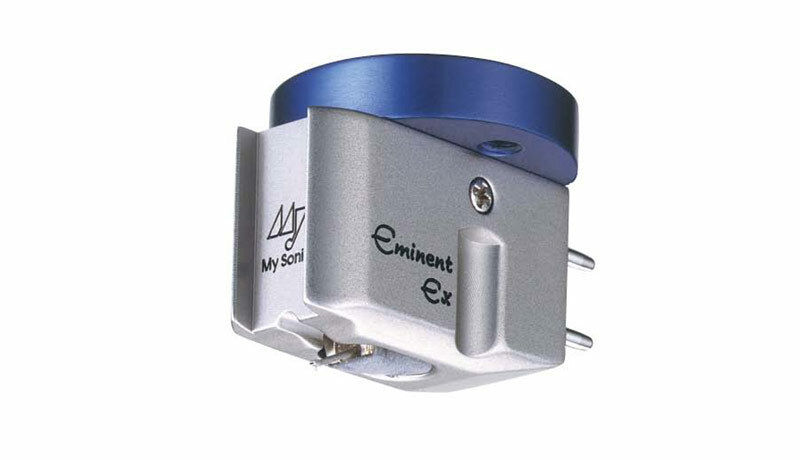 I wonder if the forthcoming Ultra version of the cartridge might not, in fact, be the one I heard then, or maybe even the ultimate moving coil.